HP PLOTTER: Something That Every Pakistani Needs | GUI Tricks - In Touch With Tomorrow! HP PLOTTER: Something That Every Pakistani Needs - GUI Tricks - In Touch With Tomorrow! Not long ago HP got itself into the printing business market, not any printing but big global printing businesses. Plotters are widely used by many big companies for the purpose of creating and printing various big documents or charts, the printing designs can be a poster, it can be an architectural design or the companies can print big size blueprints for their various projects. In Pakistan the HP plotters have quite a high significance, the demand and use of HP plotters is quite a lot. Many of the Business organizations prefer HP plotter over any other company’s plotter machine. HP plotters have quite a good efficiency of printing big documents. The technology of HP plotters is quite advanced that it enables the machine to design high quality rich in colors and resolution, so the architectures can look over the blueprints for the huge new buildings that they are going to construct or it can be series of other purposes that require big pieces of papers with some high depth colors, HP plotter in Pakistan has made it possible. Moreover, the HP plotters are quite affordable, other plotters in Pakistan are quite expensive that can break the expense budget of any company and no company wants to spend much money on buying just plotters. HP plotters in Pakistan are quite the best option for those companies which are on the budget and need the best machine that can make prints with quite an efficiency and rich in quality. HP plotters are quite energy efficient and will make prints effectively. Sure it depends on the models about the efficiency but the technology behind the HP plotters is almost the same, just the specifications are different in the newer models. 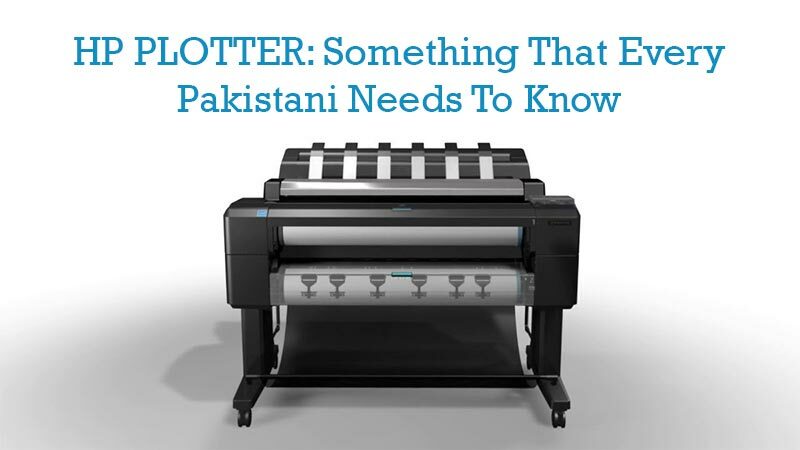 Plotters in Pakistan were available at quite high prices in past but since the HP has brought the plotters in Pakistan it has become easier for many small companies to buy plotters and increase the overall efficiency of their business to compete in such competitive market. HP Designjet T520 can be available at around Rs320, 000/- in the market, and Designjet T520 is very popular for its efficiency and reliability. HP Designjet T830 can be bought for Rs440, 000/-, which is quite a reasonable price for such quality and durability of the machine. HP Designjet T3500 is probably the most advanced HP plotter in Pakistan and has the price tag of Rs700, 000/- the best option if you want the quality at its best from HP. Acom.pk provides the best plotters online.